With its dramatic and sophisticated design and quality wood craftsmanship, the Cameo Round Dining Table from Sunpan provides the perfect balance of casual yet elegant style and everyday function. 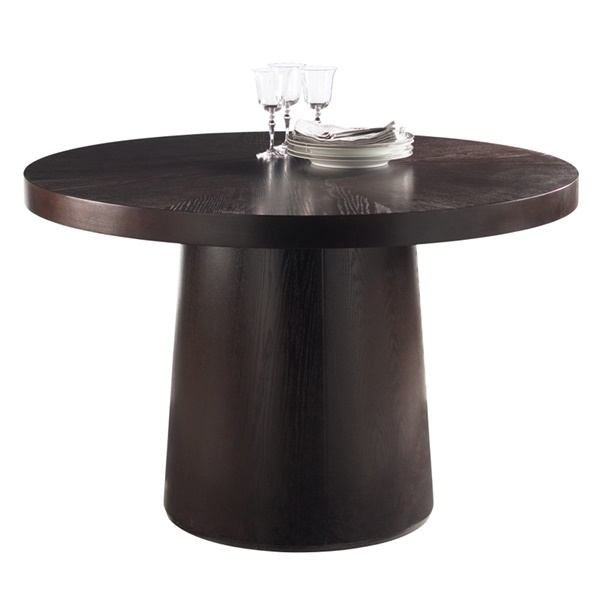 The modern dining table's classic round table top is supported by an over-sized, drum-shaped pedestal that ensures optimal strength and stability while giving the table its distinctive look. A rich espresso stain enhances the table's elegance while emphasizing its natural-looking wood grain surface. With its classic design and complementary finish color, the Cameo Round Dining Table fits seamlessly into a variety of modern and transitional dining spaces.